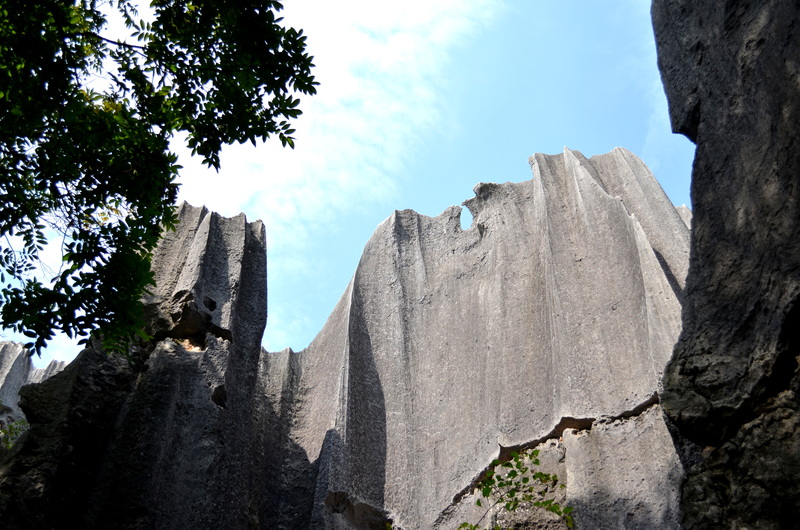 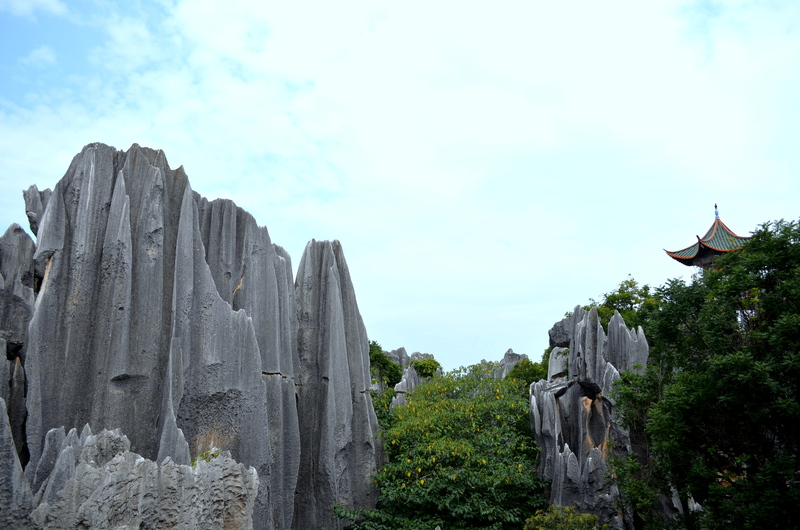 We left early in the morning to visit the Stone Forest, about an hour and a half outside of Kunming, Yunnan. 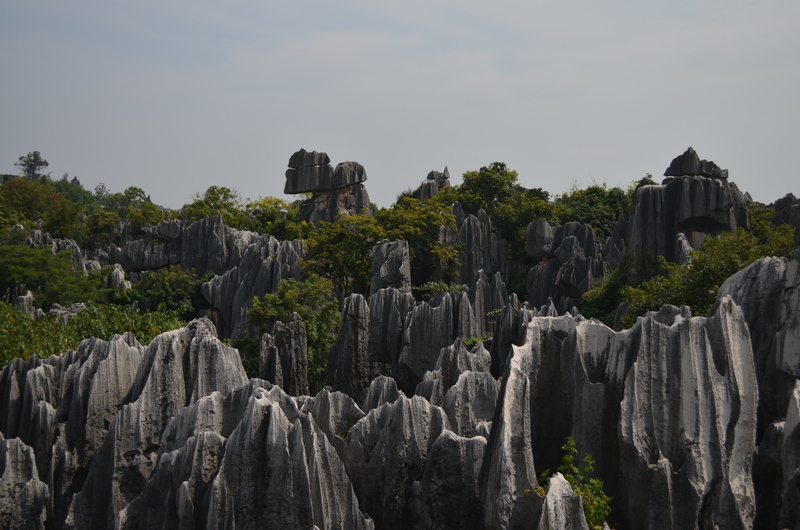 I had been so happily surprised with the landscapes and hidden treasures that Yunnan had provided so far, and the Stone Forest was no different, a stark and poignant emblem of the rich natural beauty of this corner of the country. 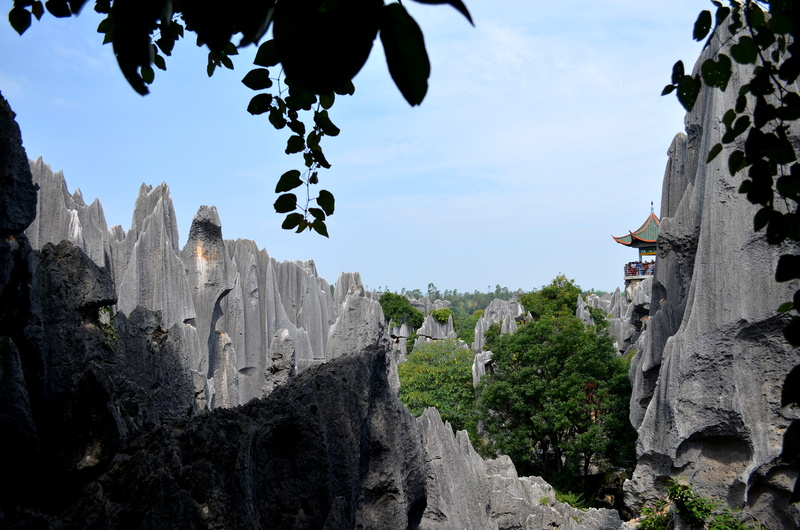 It’s odd that all the Chinese tourists essentially flock to that one little pagoda, winding their way up and down crowded stairways, snap a few quick photos, and then head back to the entrance, especially when there is the whole rest of the park to explore. 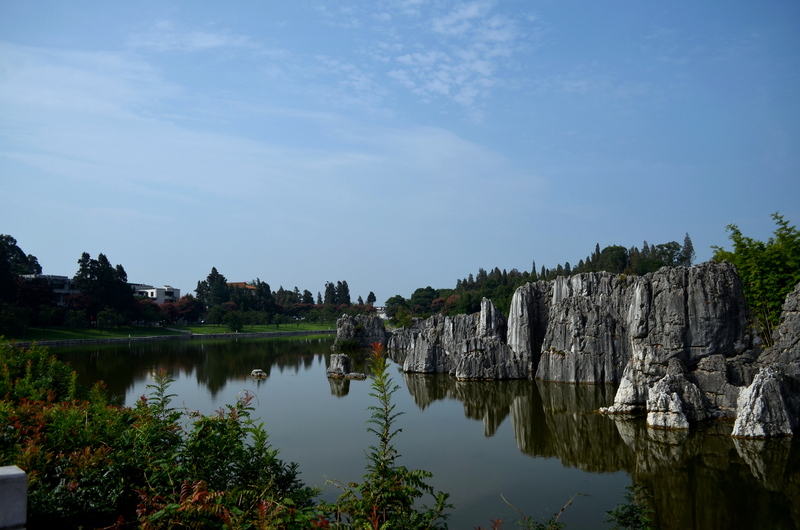 We covered perhaps half of the park, almost all secluded. 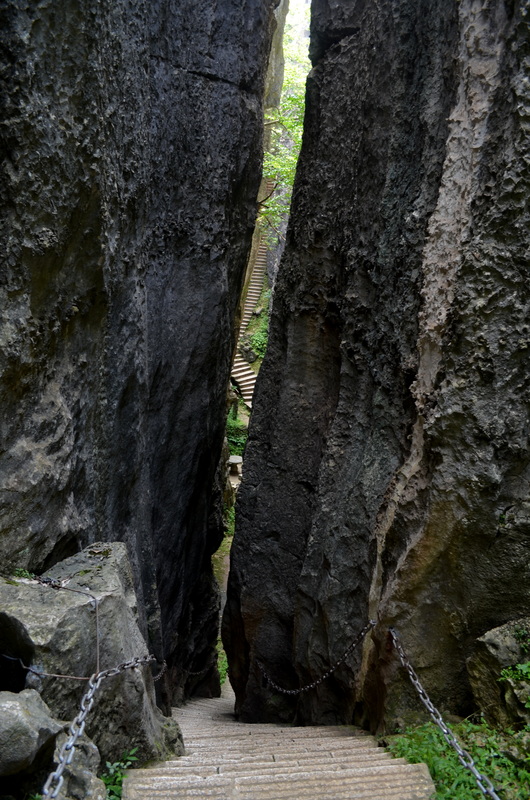 There were steep, claustrophobic ravines, with glimpses of light and green shimmering through. 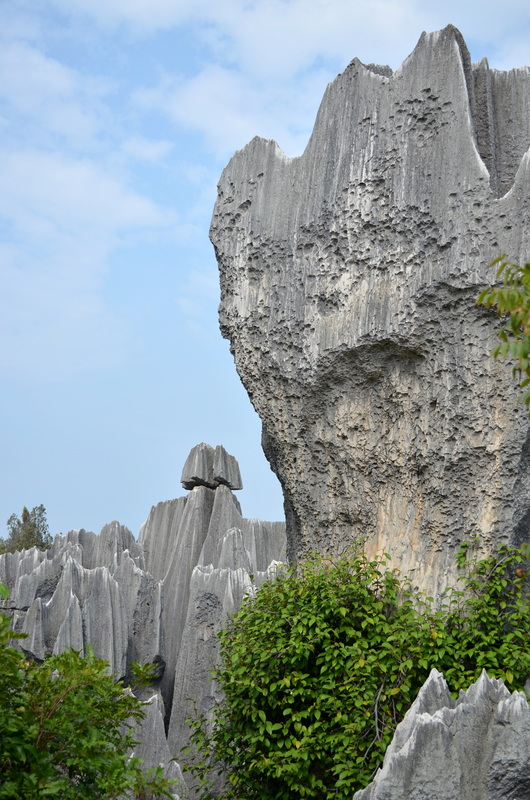 At the crests of these winding, narrow stone walkways, the view would sometimes open up on these amazing formations. 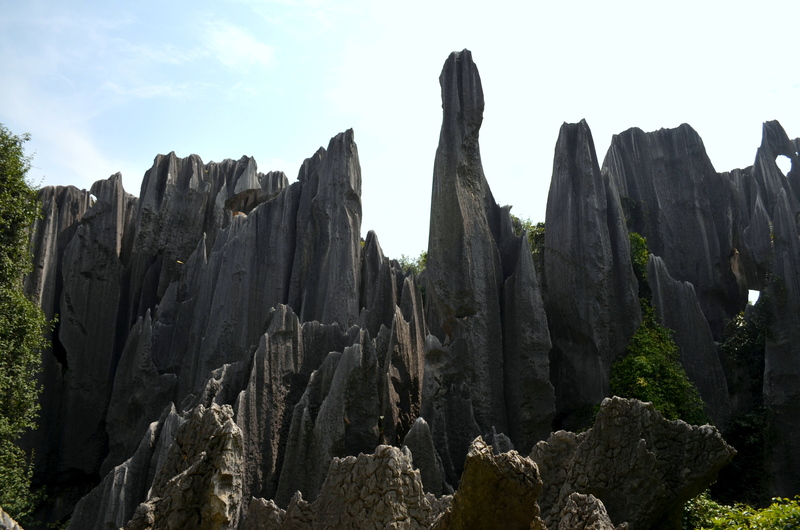 Surreal is a good word for the Stone Forest, especially after you spend an hour or two winding your way through all the circuitous paths untouched by the tourist masses, your view to the sky thronged by the oblong and misshapen rock contours like the earthen graphs of broken trigonometry, corrupted by the roots of trees and the brooms of wind.